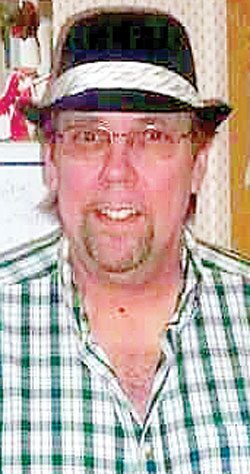 CHESTER — Scott David Keranen, 61, of Chester, passed away, unexpectedly, on Dec. 15, 2017, at East Liverpool City Hospital, of apparent heart failure. He was born July 9, 1956, in Hancock, Mich., son of Uno and Eleanore Keranen. He was a 1974 graduate of the Hancock High School. Following graduation, Scott enlisted in the U.S. Navy, serving for four years. He worked at Hall China in East Liverpool for many years. In June of 2001, he married Charla Hayward Cheuvront. Scott was an accomplished singer and musician and played in local bands in the area. In recent years, he enjoyed being “Pappy” to his beloved grandchildren, Landon and Mackenzie, and cherished their times together. Scott was preceded in death by his loving wife, Charla; father Uno Keranen; two brothers-in-law, Gary Hayward and Stephen “Smiley” McDonald; and a sister-in-law, Loieta McDonald. He is survived by his mother, Eleanore Keranen of Michigan; daughters, Analissa (Michael) White of Weirton and Sabrina Cheuvront of Chester; grandson Landon; granddaughter Mackenzie; sisters Sandy (Gordy) Grindey of Michigan and Patti (Vernon) Perfetti of Michigan; brother-in-law Kelsey Hayward of Chester; sister-in-law, Robin Hayward of East Liverpool; a niece and nephews he raised, Alison (McDonald) Board, James McDonald and Stephen McDonald Jr.; several nieces and nephews; special friend Michelle Kirbaugh and her four children’ and also by his aunt, Dorothy Henning of Michigan. Visitation will be Friday, Dec. 22, from 2-4 and 6-8 p.m., at the Nixon Funeral Home, where funeral services will be at 11 a.m. Saturday, Dec. 23, 2017. Military honors will be conducted by the Chester American Legion Honor Guard.